Many homeowners agree that remodeling your home can be a time-consuming and overwhelming task, and finding a trustworthy, skilled contractor can be frustrating. You have likely heard stories about home remodeling projects that quickly evolved into a disaster, caused by inexperienced or unlicensed home remodeling contractors. To prevent having to deal with these types of issues, you must be careful when finding a contractor in your area for your home remodeling project. In this article, we highlight several helpful tips to help with the search process. Why Is It So Tough to Find Good Help? A quick search online for “remodeling contractors near me” will, without doubt, reveal countless, self-appointed remodeling “experts.” However, finding a contractor who is reliable, highly-experienced, qualified, and that you can trust is no easy accomplishment. One of the biggest reasons why homeowners have difficulty finding great local remodeling contractors is because they may not be aware of what kind of contractor they truly need. Much of the answer to this topic depends on the type of remodeling, especially if the job is a large scale, luxury project. 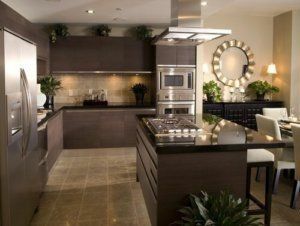 Another major challenge is finding a reputable home remodeling contractor you can rely on throughout the entire process. Some contractors are notorious for their lack of promptness and missing project deadlines, as well as their involvement with projects that go wrong, which can be costly for a homeowner. To minimize any issues during your home remodeling project, we strongly encourage doing thorough research beforehand to save any stress down the road. For starters, when reviewing information about different remodeling contractors, read up about the history of each company. Find out how long they have been doing business and what recent experience they have with remodels similar to your project. Did you know it can take anywhere from three to five years to establish a “financially sound” company, according to the National Association of Home Builders? It is important to consider the strength of the firm you hire because you want to ensure the company will be around after the construction is complete to service any warranties, if necessary. During this stage, you also want to verify their credentials. License requirements vary state to state, so confirm that a home remodeler is licensed and bonded as required by your jurisdiction. Also, determine whether the company has adequate workers compensation and general liability insurance. Never commit to a new remodeling company that you end up becoming a test subject for a renovation company. Find at least three remodeling companies that regularly work on the type of project you want to be done in your home, and then be sure to check their references. It is a smart idea to get references from those people in your life that you trust, such as friends, family, and colleagues. However, as you conduct your research, keep in mind that even if one particular contractor did an amazing job retiling a kitchen floor, he or she might not be the best option if you want to knock down walls and build a full addition on to your house. Was remodeling company dependable regarding executing their projects? Were they on time and on budget? Were they pleased with the final results? Was there anything they did not like or would have done differently? In many cases, it is not uncommon for a remodeling contractor to hire trade partners to help out or to handle other tasks. During the interviewing process, ask for an employee list or a list of trade partners and then check online reviews or their references. It should not come as a surprise if the most qualified remodeling contractor you want to hire for your project is not ready to start the job for several weeks or even months. Be patient, and it will be worth it in the end. Finding the right local remodeling contractor is not without its challenges but taking the time now will ultimately save you money and time down the road. Once you find the right contractor for your project, be sure to negotiate the ground rules, and make sure the contract you sign details each aspect you want to accomplish. Keep these tips in mind and take as much time as you need to decide before officially committing; after all, it is a major decision, and you should not rush it. At Republic West Remodeling, our team of home remodeling contractors has developed, through numerous years of experience and a passion for excellence, an exclusive remodeling process that aims to provide both a pleasant experience and a successful outcome for our customers.